So you are on vacation. Is that with or without your laptop? I don’t think many of us can really go away and totally disconnect from our work anymore. It’s not like the old days when they only way you could get in touch with the office was to call from your hotel room. Some of us sneak in time online because we can’t help ourselves, we simply cannot disconnect, not fully, no matter how much caring family members accuse us of working all the time. Why do we do this to ourselves? Is it because we think that working 24/7 is some kind of badge of honor? Do we think we are more important than our co-workers because we never take time off? Deep down are we afraid that if we take a vacation we will be replaced or that our team will get along fine without us? If so, we seriously have to get over ourselves and get past all these negative thoughts because the whole point of a vacation is to enjoy yourself and you cannot do that if you are working while you are away! 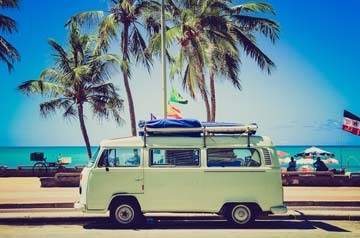 In a recent article by Dan Oswald Try to Truly Disconnect from Work on Your Next Vacation!, he says that one of the best reasons for taking a vacation is that it allows you time to think about something other than work. It is a kind of freedom from responsibility. It is so easy in our super-connected world to be working all the time, and the daily grind wears us all down to the point that we can get into a rut or lose sight of where we want to go, and what our personal and professional goals really are. Oswald says, ‘You must get away. You must disconnect. You must be willing to put work behind you for some length of time. The reason this is so important is because a real vacation can allow you to come back reenergized and revitalized. It can help you regain your focus and attack things with a renewed energy. I think we sometimes forget the toll the daily grind of work can have on us. It slowly wears us down until we’re in a rut. A good vacation can help you regain that much-needed perspective. It can allow you to be a better employee’. This advice makes sense doesn’t it? Perhaps we should all try to be better employees and happier people by not thinking about work for a change and taking a real vacation.